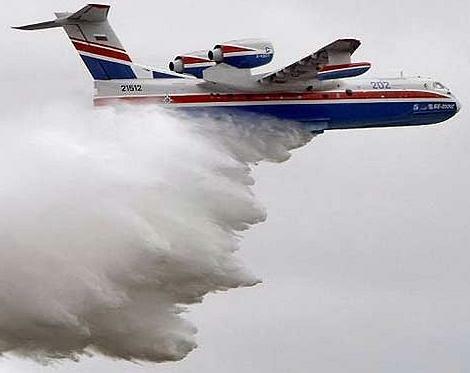 As Air Force C-130s continue to battle forest fires in the western U.S., one company wants to put Russian water bombers into the fight. TTE International Inc, based in Santa Maria, Calif., has contracted to buy 10 jet-powered BE 200 aircraft, which can make a water landing, scoop up 12 tons of water and then drop it on a blaze. The planes can also carry flame retardant. But the Russian planes are currently not suitable for use against forest fires, said U.S. Forest Service spokesman Mike Ferris. TTE President David Baskett said the Russian government has already asked the FAA to certify the BE 200.